In 1993 work began to build Europe's longest road and rail bridge. 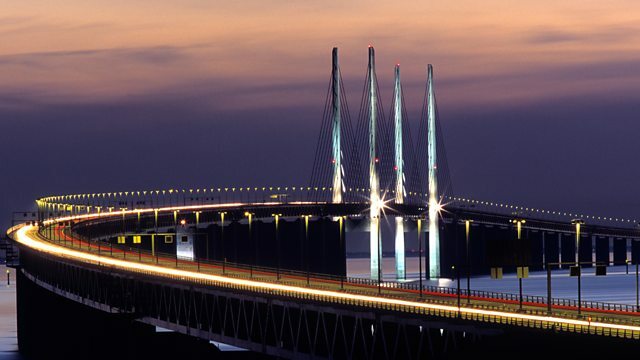 The Oresund Bridge links Sweden to Denmark and inspired a hit TV drama broadcast in more than 150 countries. In 1993 work began to build Europe's longest road and rail bridge. The Oresund Bridge links Sweden to Denmark connecting them by land for the first time in thousands of years. In an unlikely twist, it also inspired a hit TV drama which has been broadcast in more than 150 countries. Claire Bowes spoke to Ajs Dam, head of information at the consortium which built the bridge.